We Love seeing how accomplished our patients are. 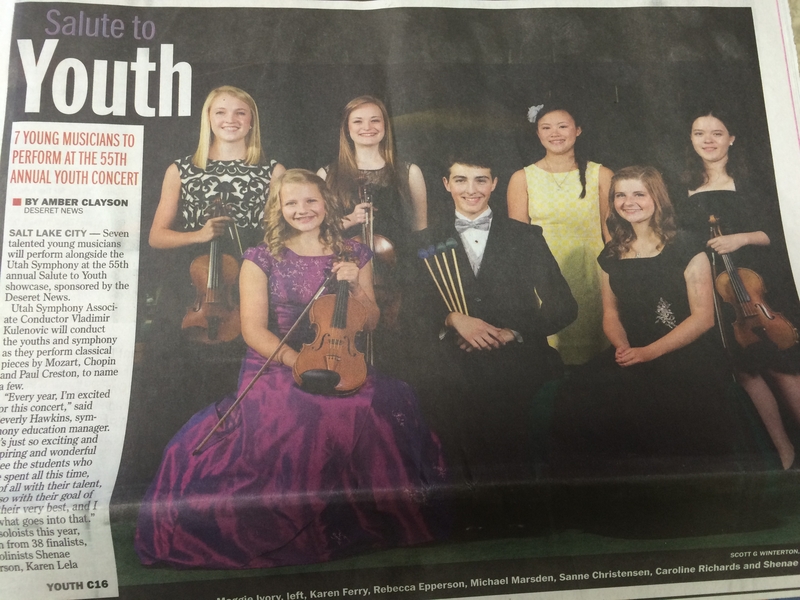 Just the other day we found our patient Rebecca Epperson (top middle in black) in the newspaper for being selected to perform with the Utah Symphony Orchestra. She will be playing in their Salute to Youth showcase. Congratulations Rebecca. We are very proud of you!